History is changing around 19-year-old Ben Spencer, and he's powerless to stop it. His sister has disappeared, his family thinks he's schizophrenic, and, worse yet, the girl he's madly in love with won't give him the time of day. Enter the mysterious Michael, who, years earlier, helped Ben's parents defeat a powerful sorcerer bent on destroying them and reclaiming a relic stolen from him years before. With Michael's help, Ben will travel back in time, to 1977, and attempt to set the past straight. But will he undo himself and the woman he loves in the process? 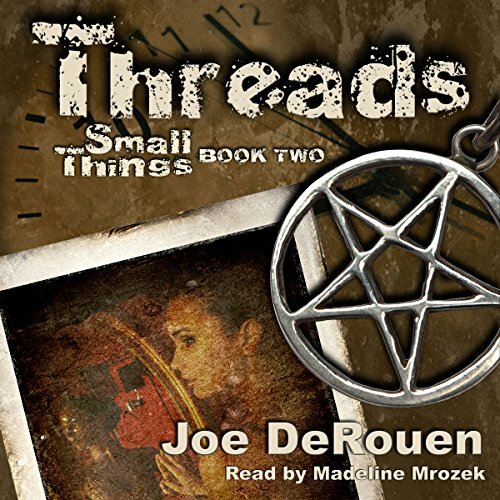 The Small Things trilogy spans 40 years and three generations in a tale of murder, betrayal, corruption, sacrifice, love, redemption, faith, and magic that culminates in a showdown that will pit the very forces of heaven and hell against Ben and his family in a battle for the future of mankind and the world itself. Absorbing. Grabs you by the brain and makes you keep on reading "just another couple of pages, then I'll. ...". Ya, right! Without doing the whole recap thing, the publisher's blurb is somewhat informative without screwing up and giving out spoilers. Neither will I. The best part for me was getting the audio narrated by Madeline Mrozek! Anytime she is the narrator, it's a good day. Edge of your seat excitement! Yet again, Joe amazes the reader with his words. Just when you think you have figured out how the story will end, he hits you with a twist. This book was a chore to care about and the ending was a great big WTF. The best thing that can be said, well, the only good thing that can be said, is that the narration was good.